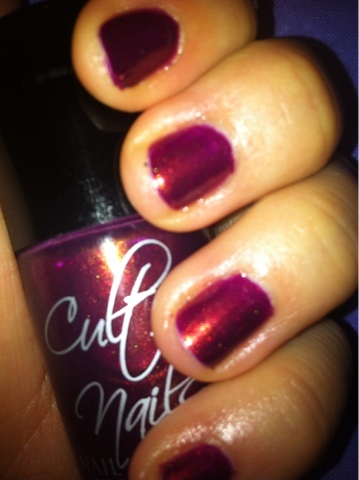 I thought it was about time I showcase the gorgeous polishes I got from Cult Nails on their own. So here we have Iconic. 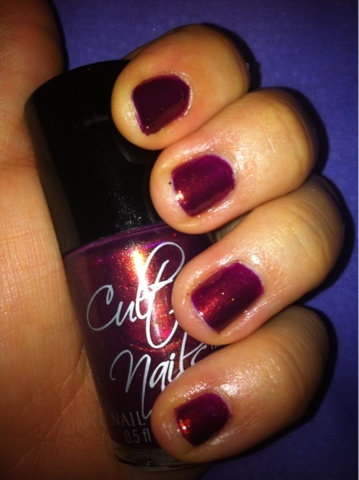 Iconic is a deep berry creme with gorgeous red flakes and stunning gold shimmer throughout. 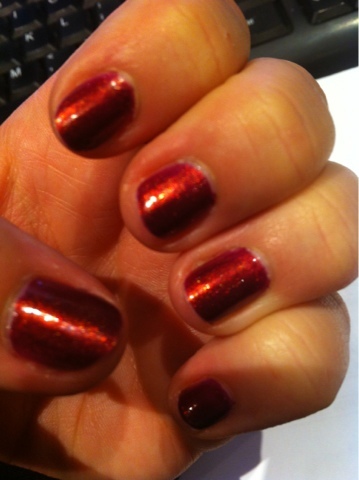 Please ignore my super short nails, I'm not too sure what's going on with them at the moment. 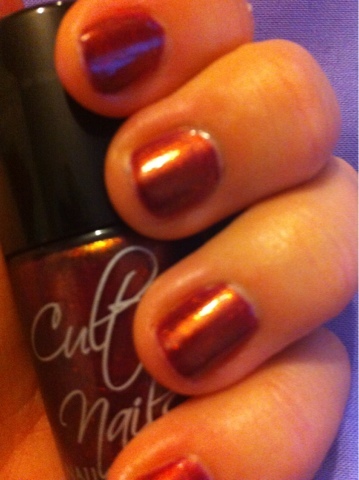 This polish went on quite well and was opaque in 1 coat but I always use 2 for good measure. My Seche Vite has gone gloopy and I find that's causing me to get shrinkage at the tips (hurry up Postie with my new bottle). 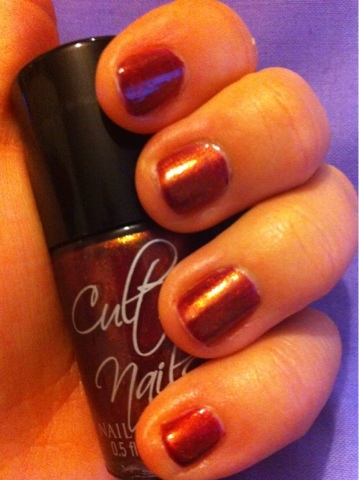 I love this colour and think it will look amazing on long nails in the Autumn. Maybe with some leaves stamped on the top? You are right. Great autumn color.